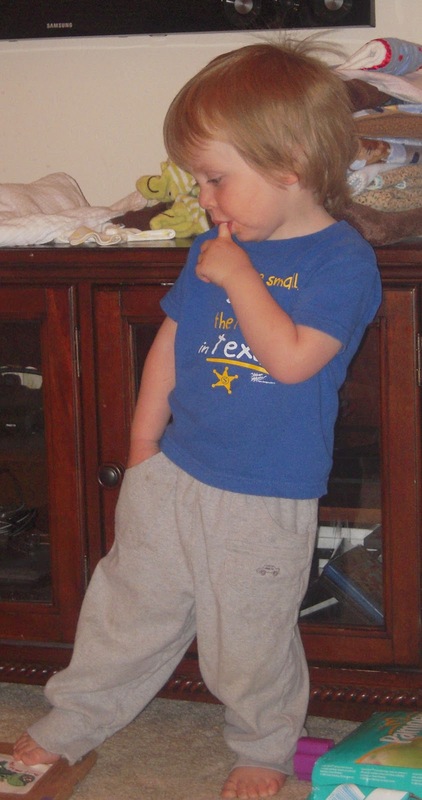 Will has a pair of sweatpants with pockets, and when he wears them he likes to stand around with his hands in the pockets. It’s pretty much the cutest thing ever. Ha! Adorable!Also – glad to hear Daniel is off oxygen! Awesome. He is so styling with those pockets. The pictures and the story both made me laugh outloud! I love how calm and cool he is with his hands in his pockets. And HOW CUTE IS THAT STORY? Kids say the dang cutest stuff!